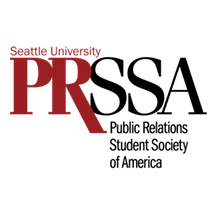 I am Valerie Vong and your new PRSSA Internship Director! I'm here for any questions regarding internships or if you simply need someone to talk to about your search process. I will be updating you every other week about internship opportunities via this newsletter. Seattle Metropolitan is seeking smart and outgoing interns for our editorial department, located in Seattle, Washington. We are currently accepting applications to our winter/spring internship (starts December/January, ends June/July) in the following beats, or areas of concentration: News and Politics, Food and Drink, the Arts, Style and Bridal, and Travel and Tourism, Social Media, Copyediting. Learn firsthand how an award-winning magazine and website are put together. editing blogs for SEO; and assisting with some administrative tasks. Interns who shine at the simpler tasks will have the opportunity to work on larger projects, such as contributing to features and writing departments. We want our interns to walk away with strong clips that they have earned. The position requires a minimum of 20 hours a week in 4- to 5-hour stints between the hours of 8:30am and 5:30pm weekdays. eager, independent, and wants to learn. Candidates should be working toward a bachelor’s or master’s degree in the liberal arts, especially journalism, English literature, publishing, or creative writing. Graduates are also accepted. the ability to juggle several assignments at once. Interns must be located in the Seattle area during the internship. Experience with InDesign, Photoshop, and content management systems is helpful but not required. Digital photography and/or video experience is helpful but not required. We accept applications on a rolling basis for all start dates (in winter, spring, summer, and fall). Application deadline for winter internships in all beats (beginning in December 2014 or January 2015) is October 1, 2014. If you email your application, make sure the word “Internship” appears in the subject line or your message may not reach its destination. TIME COMMITMENT: A minimum six month, twelve hours per week commitment is required. CAIR-Washington State (CAIR-WA) is the local chapter of the Council on American Islamic Relations (CAIR), the largest Muslim civil liberties organization in the United States, dedicated to defending Muslim civil liberties, empowering American Muslims, fighting bigotry, enhancing understanding of Islam and Muslims and building coalitions that promote justice and mutual understanding. · Identify trends and produce our annual research report. · Conduct research and write analysis that has a meaningful impact on local community and national discussions. Each report is presented to The Seattle Times and circulated among our partner organizations and the greater community. Please email the Volunteer Coordinator at cairwavolunteer@cair.com and, in the subject line, please clearly indicate the title(s) of the internship(s) in which you are interested, in order of preference. Please include a cover letter, résumé, a portfolio of past work if applying for a graphic design or web design position, a list of two references (one should be a professional reference, if possible), and any other information which we can use to assess fitness for the position. In the cover letter please explain your interest and describe relevant experience. Applicants must pass a background check. The Seattle office is looking for an enthusiastic, self-sufficient, motivated and detail-oriented college graduate to join our Seattle team for a full-time, paid internship. At Allison+Partners, you will hit the ground running as a member of account teams with impressive technology, social impact and consumer clients. The position offers a chance to work as a fully-integrated member of account teams working with real estate, government and consumer clients. An ideal candidate will: have an interest and background in journalism, media and/or marketing; be skilled in Microsoft Word, PowerPoint and Excel; enjoy working in a collaborative, team environment; and be a quick learner with a “can-do” attitude and relentless attention to detail. Pitching news announcements and following up with media. Provide support to 4-5 client accounts, as well as new business pitches. Please email your resume and a cover letter, as well as your available start date, to Emily Nauseda at enauseda@allisonpr.com. But it's not easy, okay? This position is a lot of work. Fast work. High-velocity work. Yeoman's work (if yeomen had computers, or were a term that anyone used anymore). But, really: you have to move quickly, be nimble, fearless and confident in your abilities. You need to be funny. You need to write exceedingly well. Your spelling and grammar should be stellar (without the benefit of exhaustive editing). You must enjoy places that are fun. If you're too serious, we don't want anything to do with you. In a perfect world, this position is a full-time paid internship. If you can't swing those hours and still feel like you were custom-molded by Odin himself for this job, please apply. If chosen for this position, you may be asked to acquire a gong. Don't ask why. Just go(ng) with it. Make your mark in Broadcasting. Sinclair Broadcast Group, Inc. is one of the largest and most diversified television broadcasting companies in the nation, programming 167 stations located in 77 geographically diverse markets after pending transactions. Our success is the result of extraordinary employees and an exemplary management team who believes in a vision and is dedicated to making Sinclair Broadcast Group, Inc. a communications powerhouse. We are advancing the world of Broadcasting and we want YOU to join our winning team! The KOMO4 Problem Solvers Intern will report directly to Executive Producer. Get and vet tips that come in to the Problem Solver email address and phone tip line. Help organize and schedule interviews and shoots. Field viewer inquiries as needed and assist in the day to day operation of the unit. Detail oriented- Demonstrates an attention to detail; can manage difficult customer situations with grace. Team player- Shows a willingness to tackle any job, big or small, to help the team achieve its goal of producing compelling and important stories. Time Management- Uses his/her time effectively and efficiently; to prioritize and complete the most important tasks first. Adaptability- Can readily adapt and adjust to change focus and take on new tasks as necessary. Interns at The Feary Group are savvy professionals that possess that ability to hit the ground running in a fast-paced environment and deliver high-quality results. Our goal is to welcome interns that will contribute personal initiative, integrity and responsibility to our growing agency. We pride ourselves on consistently rewarding individuals with drive, creativity and an entrepreneurial spirit. 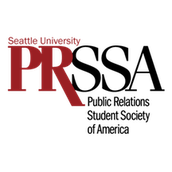 · Drafting basic public relations materials including media pitches, news releases, media alerts, fact sheets, client meeting summaries, status reports and other materials. · Assisting in the creation and management of clients' social media accounts. · Assistng in media pitching, follor-up, coverage tracking, news clipping and summary reports. · Developing and updating of media lists and other databases. · Assisting with the management of newspaper and periodical inventories for easy access. · Responding to all administrative duties and activities as assigned. Edelman is the world’s largest public relations firm, with more than 5,000 employees in 65 cities, as well as affiliates in more than 35 cities. Edelman was named one of Advertising Age’s “A-List Agencies” in both 2010 and 2011, and an “Agency to Watch” in 2014; Adweek’s “2011 PR Agency of the Year;” PRWeek’s “2011 Large PR Agency of the Year;” and The Holmes Report’s “2013 Global Agency of the Year” and its 2012 “Digital Agency of the Year.” Edelman has been awarded seven Cannes Lions including the Grand Prix for PR in 2014. Edelman was named one of the “Best Places to Work” by Advertising Age in 2010 and 2012 and among Glassdoor’s “Best Places to Work” in 2011, 2013 and 2014. Edelman owns specialty firms Edelman Berland (research), Edelman Deportivo (creative), Blue (advertising), BioScience Communications (medical communications) and agency Edelman Significa (Brazil). Visit http://www.edelman.com for more information. Seattle Parks and Recreation and the Associated Recreation Council are launching TAT 2014-2015 in October. The Able Teens Program (TAT) is an after school job and life skills training program based in service learning. The program allows teens with disabilities, aged 14-25, to pursue vocational and personal interests and gain employable skills through volunteer projects with community based organizations like community centers, libraries, food banks, and many more. We are currently recruiting WA State Work Study students to work with TAT as job coaches. The duties of this position include providing coaching and mentoring to teens with developmental disabilities (including autism) in community based organizations. Examples of coached activities include gardening, organizing donations at a food bank, resume writing, interviewing skills, financial literacy, and effective communication. TAT also participates in social activities by taking field trips to special events and other points of interest in the community. This is a great opportunity for students to work with youth while developing a variety of skills relevant to many different areas of study.